WJSG Internet Radio: Does Classical Music Have A Transgender Problem? Does Classical Music Have A Transgender Problem? 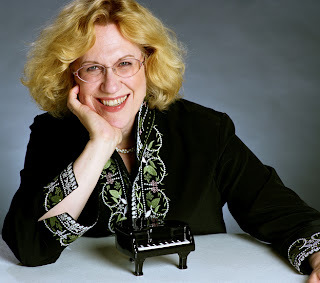 Yesterday, pianist Sara Davis Buechner published on the New York Times website a brave and moving account of her experiences as a transgendered person. "As David Buechner, born in the northwest suburbs of Baltimore in 1959," she writes, "I became an internationally known concert pianist. But from the time I was a child, I understood that I was meant to be Sara." As David, she won gold at the 1984 Gina Bachauer competition and bronze at the Tchaikovsky competition in 1986, and performed as a soloist with top-ranked ensembles including the New York Philharmonic and the Philadelphia and Cleveland orchestras. "The success of my performing career in Canada has helped me rebuild a reputation back home. I've played twice now with the San Francisco Symphony, and also with the orchestras of Buffalo, Dayton, Seattle and others. I am confident I will once again play with the elite groups in Cleveland, Los Angeles, Philadelphia and New York, earning the same good reviews that David Buechner once did. A new generation of conductors, composers, chamber players and music executives has come of age, and they don't ignore my agent's calls as their older colleagues once did." It's a thought-provoking piece, and particularly so when you ponder how, for generations now, openly lesbian and gay artists, presenters, academics, critics, managers, publicists, label employees and so many others have made homes for themselves within classical music. Societal progress has been a very hard-won battle — and movingly chronicled of late in Alex Ross' "Love on the March" piece in The New Yorker — but I can't fathom a classical music business in the 21st century in which gays would have to hide their identities for fear of professional recrimination. But what Buechner is saying is that progress on LGBT issues, at least in the American classical music community, still stops at the LGB part of that equation — and that's sobering.